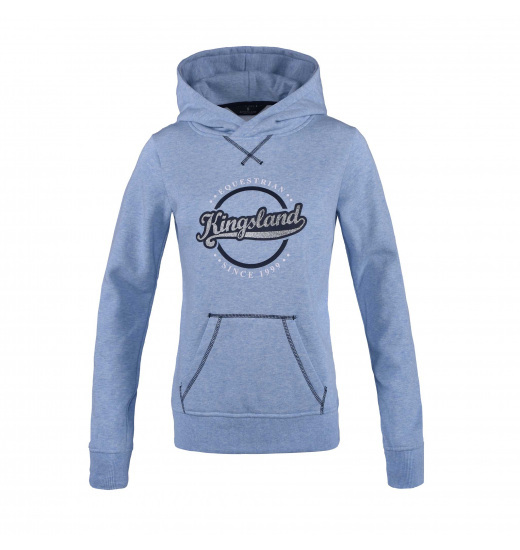 Women's hoodie made of the highest cotton jersey that is breathable and comfortable. 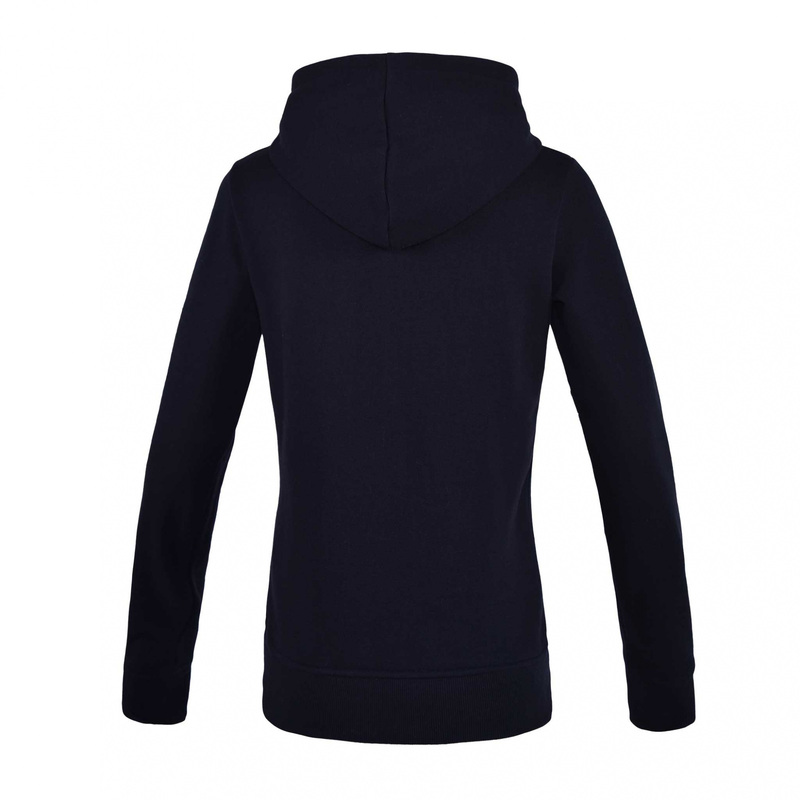 It very nicely fits the body. There is one big joined pocket on the front. 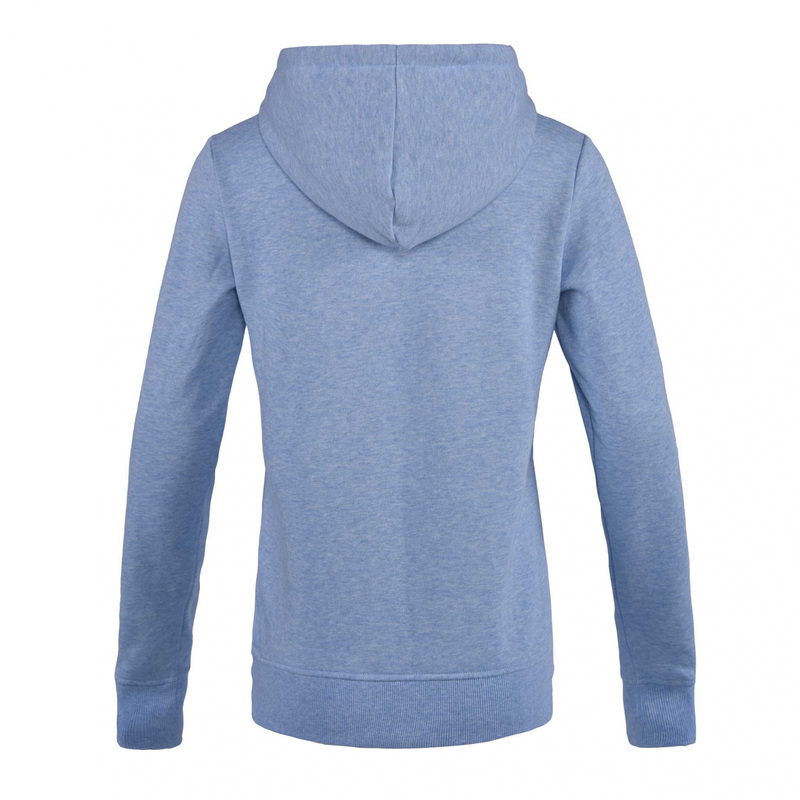 The hoodie's bottom and cuffs have elastic ribbing. 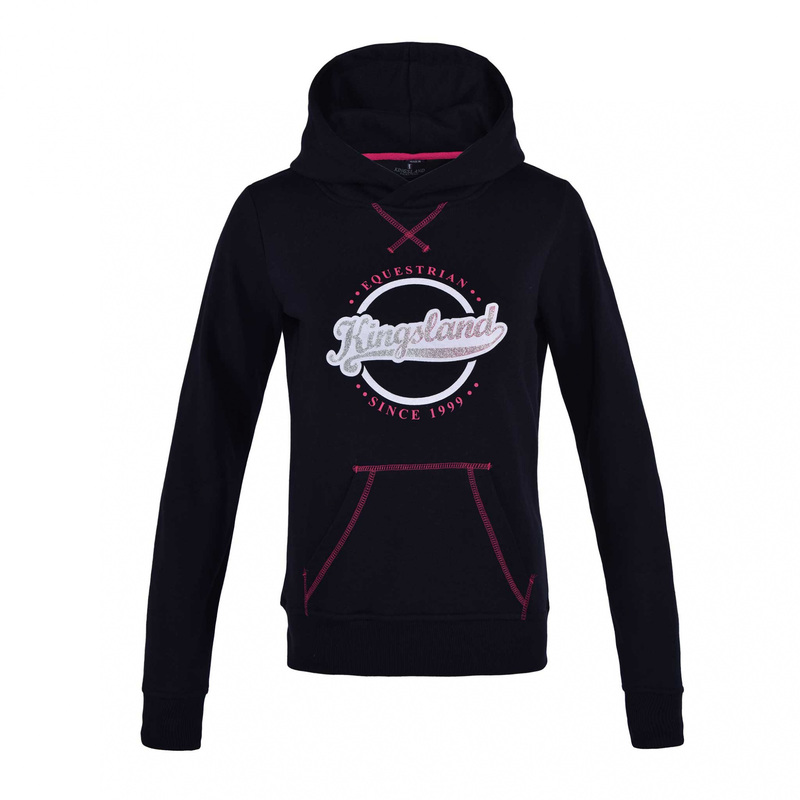 The hoodie is decorated with a big overprint with a Kingsland inscription.